Providing you the best range of high pressure booster pump and lt switchgear control panel with effective & timely delivery. 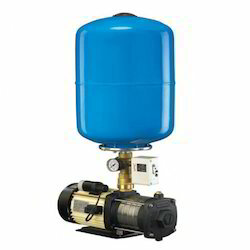 We are offering of High Pressure Booster Pump. 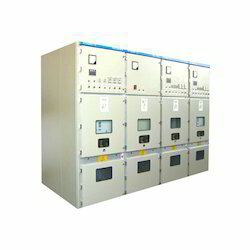 In order to cement our reputation in this field, we are actively committed towards providing best in class LT Switchgear Control Panel that are used in the distribution of power to commercial places, residential localities, factories, industries, offices and various places. At our premises, these panels are manufactured with the help finest quality components and advanced technology under the guidance of our skilled professionals. Additionally, these panels are provided in many specifications as per the special demands of our prestigious clients. We offer switchgear products ranging from 3.3 kv to 420 kv, to meet the requirements of electrical sub-stations and installations. Our world class LT Switchboards are a symbol of quality and innovation in this field. The Panels have been successfully tested at CPRI to withstand short circuit levels of 50 Kva for 1 sec, IP 54 degree of protection and Temperature rise as per international standards. The Design and Engineering department is well equipped with Computer Aided Design (CAD) system and drafting facilities for accurate and quick preparation of design & execution.